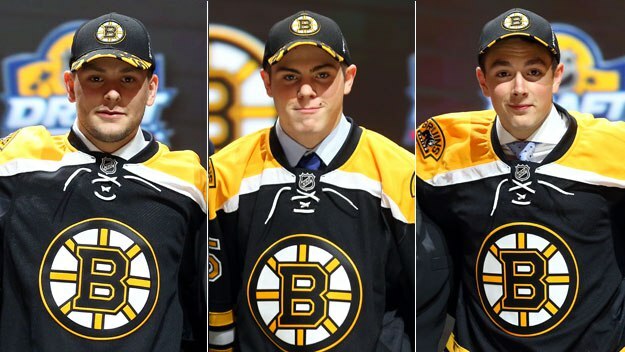 In the 2015 NHL draft the Boston Bruins had three picks in the first round .They held the rights to the 13th,14th, and 15th overall picks. With those three picks they selected Jakob Zboril, Jake DeBrusk, and Zach Senyshyn. DeBrusk, made his NHL debut last year and is the currently the only one of the three to have made it to the NHL. 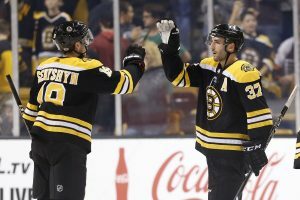 The other two are close and could contribute to the Bruins soon. They still need more time in Providence but will be given plenty of opportunities. With the NHL season approaching each will play a different role this season as they look to fulfill their draft day expectations of being a 1st round selection. DeBrusk had an impressive rookie campaign last season. He appeared in 70 games scoring 16 goals while adding 27 assists. He was a force to be reckoned with on the powerplay where he had nine points including two goals. In the playoffs he elevated his game and was not fazed by the increased pressure. 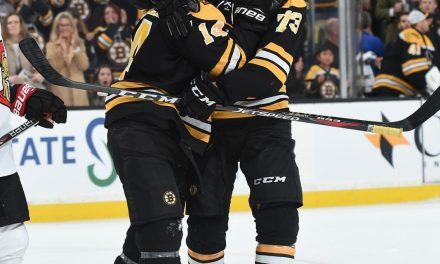 In 12 postseason games DeBrusk had 6 six goals tying him for most on the team with Bergeron and Pastrnak. With the season on the line in game 7 against Toronto he had a game to remember. 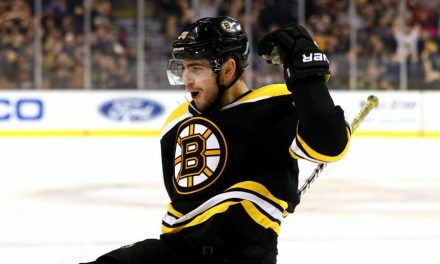 DeBrusk scored the Bruins’ first goal and netted the game winner. The former first round pick was not just a fan favorite because of his performance but because of the passion he showed on the ice. It was a very promising beginning to what could be a special career. With the 13th pick in the 2015 draft the Bruins took defenseman Jakob Zboril. Unlike Debrusk, Zboril’s career has not gotten off to an easy start. At his first training camp he seemed lost and was still battling a knee injury. After a rocky start Zboril has begun to show the tools that made him a first round pick. Zboril does not have the offensive ceiling of Charlie McAvoy or Torey Krug. That being said he does possess good skating skills and is not afraid to sacrifice his body. He is also excellent on the powerplay. 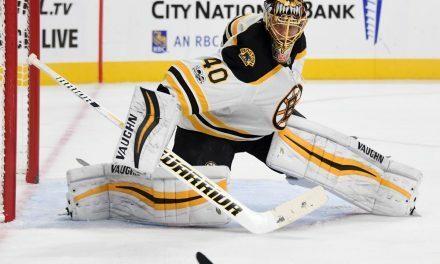 Despite his progress it is unlikely he will make the team out of camp as the Bruins already have eight defenseman under contract. Early on it seemed like Zboril may turn into a bust but he has silenced that notion. 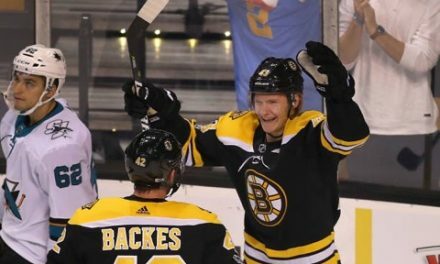 With Chara likely retiring sooner rather than later the Bruins will need a top defenseman alongside McAvoy and the Bruins are hoping it’s Zboril. The Bruins took Senyshyn 15th overall with their final pick in the first round. In Senyshyn’s two years with the Sault Marie Greyhounds he had back to back 65 point seasons. In his first year in Providence last season he had only 26 points. He is known for his speed and scoring touch but was streaky last season in Providence. Even when he struggled he did not let that detract from the other areas of his game. There is a significant amount of pressure on Senyshyn as he is the centerpiece of the Dougie Hamilton trade. Like Zboril he will need another year in Providence before he is ready. Senyshyn is still adjusting to the pro game and will need to be less streaky. 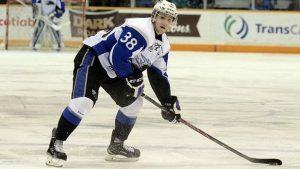 The talent is there and he could be a fixture on the Bruins top lines for years to come. With Zboril and Senyshyn likely to start this season in Providence it is still too early to judge them. 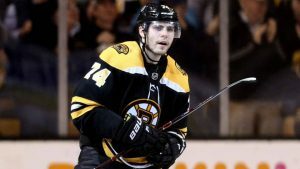 DeBrusk was the exception and showed that he has the potential necessary to make a major impact moving forward. If Zboril and Senyshyn can live up to the expectations of being a first round pick then Sweeney will look like a genius. Watching these two develop this season will be a storyline to keep an eye on. They both could very well be centerpieces of the roster for years to come.